Proper daily oral care includes brushing your teeth for two minutes both morning and night. Teaching your child how to brush the right way will provide him with the foundation for good dental health all his life. 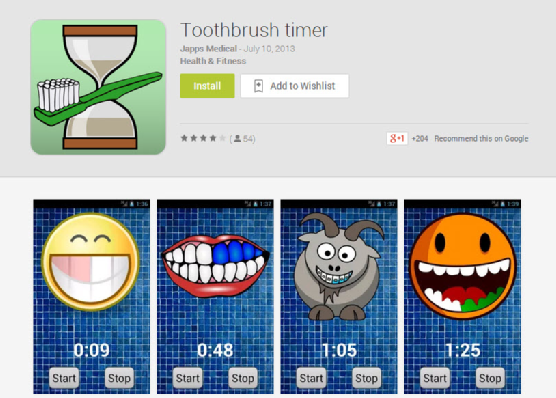 The Toothbrush timer app helps to make brushing easy, fun, and effective for children. Once activated, the app shows your child which teeth he should brush and for how long. When it’s time to move on, both visual and audible cues are given to enhance the brushing experience. You can set the timer for two, three, or four minutes and choose from six different pictures for added customization. Park 56 Dental offers comprehensive dental care for children and adults in NYC. Our top dentists provide smile restoration, dental implants, emergency dentistry, and sedation dentistry options in a warm and supportive environment. Check us out online or call (646) 783-3529 to learn more. The term “baby teeth” refers to the set of 20 primary teeth that first appear in the mouth. Around the age of six, these teeth begin to fall out and make way for the final set of 32 permanent teeth. Baby teeth play an important role in your child’s dental health as well as the development of his body and speech throughout childhood. Baby teeth are an important factor in the alignment of your child’s smile later in life because they act as placeholders for his permanent teeth. When a baby tooth is lost prematurely, it can cause the other teeth to shift and affect the placement of the permanent teeth when they appear. If your child accidentally knocks out a baby tooth, your dentist may provide him with a space maintainer to ensure the forming permanent tooth will erupt in the proper alignment. 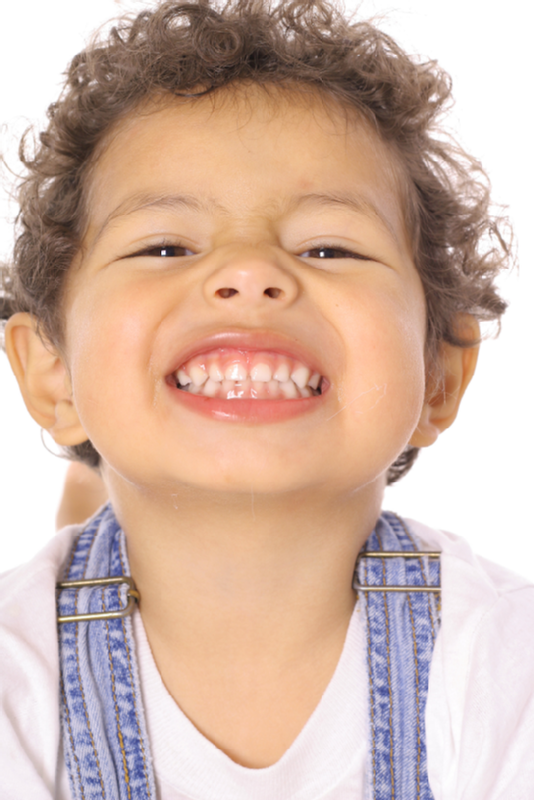 Your child’s baby teeth help him to obtain the nutrition he needs to build a healthy body. Teeth allow your child to bite and chew his food, ensuring he can eat a diet rich in the fruits, vegetables, grains, and proteins he needs to grow. Painful or lost teeth can affect your child’s ability to eat, limiting the nutrients he ingests and affecting his growth and development. If your child appears to be experiencing tooth pain, schedule a visit to your dentist for an evaluation. In addition to allowing your child to eat the foods he loves, his teeth also help him to learn proper speech patterns. Problems with your child’s dental development could affect his ability to speak now and in later years. Healthy baby teeth are needed to help your child form the sounds that make up the words he will use every day. At Park 56 Dental , we provide complete dental care for families in NYC. You can schedule a visit with one of our top dentists by calling (646) 783-3529. Click through our website to find out more about our dental care services, including cosmetic and sedation dentistry. Is your fear of the dentist getting in the way of your oral health? If you refuse to get the dental care you need because of anxiety issues, talk to your dentist about sedation dentistry. This service can make your time in the dentist’s chair peaceful and pain-free. 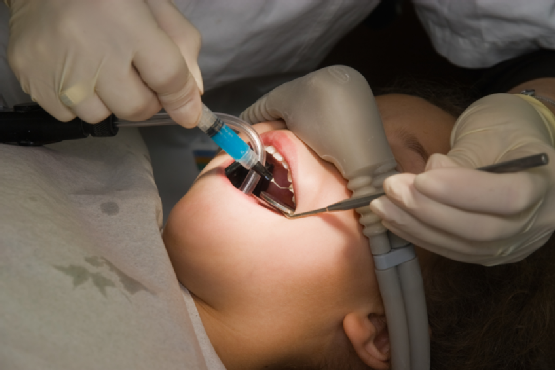 The following information highlights the most common forms of sedation dentistry. Prior to undergoing any dental procedure, you can discuss with your dentist the level of anxiety you normally feel when receiving treatment. If your dentist deems that you have a significant amount of apprehension, he may recommend injectable sedatives. These types of sedatives can be administered through intravenous injection for swift and substantial comfort. Should you prefer to be unconscious during your procedure, your dentist can provide enough sedation so that you remember nothing of your treatment . He can also give smaller sedative dosages to render you calm, relaxed, and awake. Your dentist can also offer oral medication for sedation purposes. After determining if oral sedation is right for you, your dentist can prescribe a pill that is taken before you receive any treatment. By taking your prescription prior to receiving your dental care, the chemical components of the medication have time to induce a state of tranquility to enhance your treatment experience. Dentists often use nitrous oxide to make dental treatment an enjoyable experience for patients. If you suffer from a minimal amount of anxiety at the dentist’s office, ask him if you are a candidate for nitrous oxide. No injection or pill is necessary with this form of sedation dentistry. Your dentist will place a mask over your mouth and nose for a few minutes. During this time, you can inhale this safe gas, which will quickly calm your mind and body. Once in a relaxed state, your dentist can begin your treatment. Park 56 Dental is happy to provide our patients with a diverse array of sedation dentistry options to fit their individual needs. If you would like to learn more about the services that our NYC practice offers, call (646) 783-3529. You can also visit our website for additional information on our sedation dentistry techniques. Invisalign is an excellent orthodontic treatment option for individuals who want straighter and healthier teeth. Finding out if you make a good candidate for Invisalign care is as easy as meeting with a cosmetic dentist. 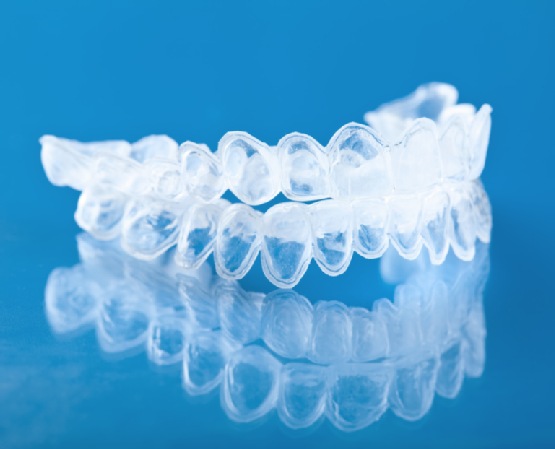 In general, though, Invisalign is available for individuals with a wide range of orthodontic concerns. If you want more even teeth, yet are wary of the possible complications of braces, including tooth decay and periodontal disease, talk with your dentist. Because Invisalign aligners are removable, you can clean your teeth and gums as you normally would while undergoing orthodontic treatment. People who are discouraged by the noticeable appearance of braces can also benefit from Invisalign care. So if you would rather not wear conspicuous metal brackets and wires, consult your cosmetic dentist about Invisalign. Do you have more questions about Invisalign? Then call Park 56 Dental today at (646) 783-3529. Our practice offers exceptional orthodontic care by the best cosmetic dentists in NYC.